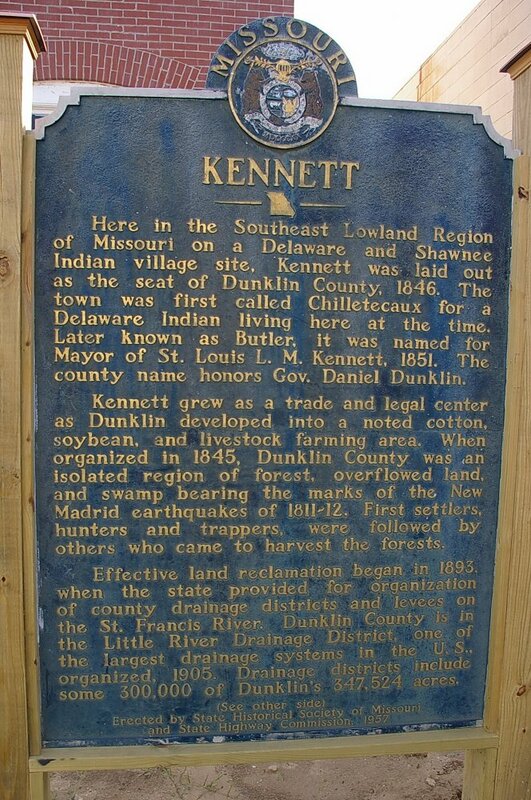 Dunklin County is named for Daniel Dunklin, who was a Governor of Missouri. 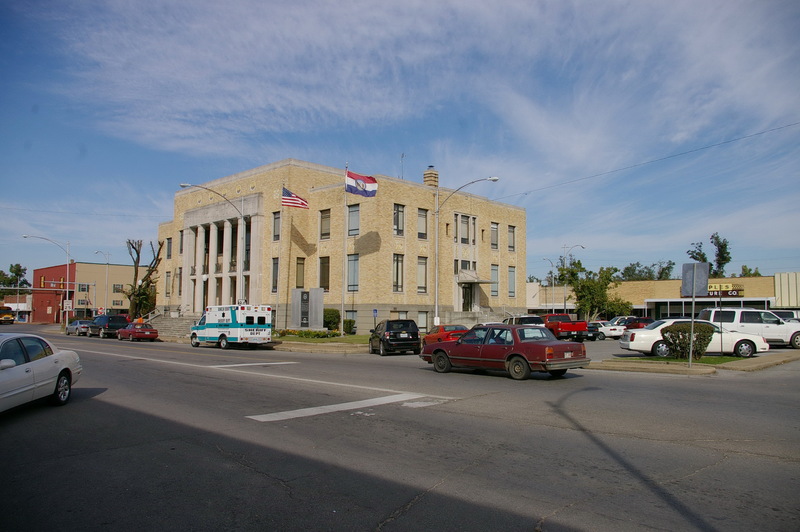 Description: The building faces south and is a two story buff colored brick, stone and concrete structure. 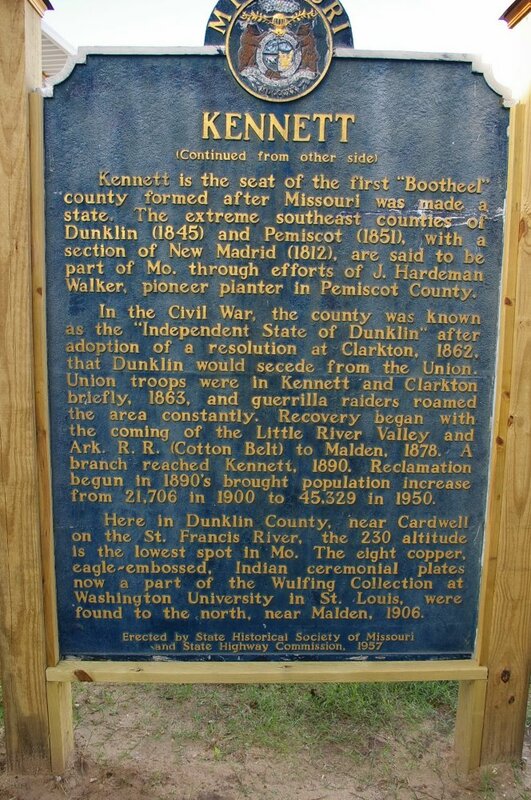 The building is 116 feet by 75 feet. 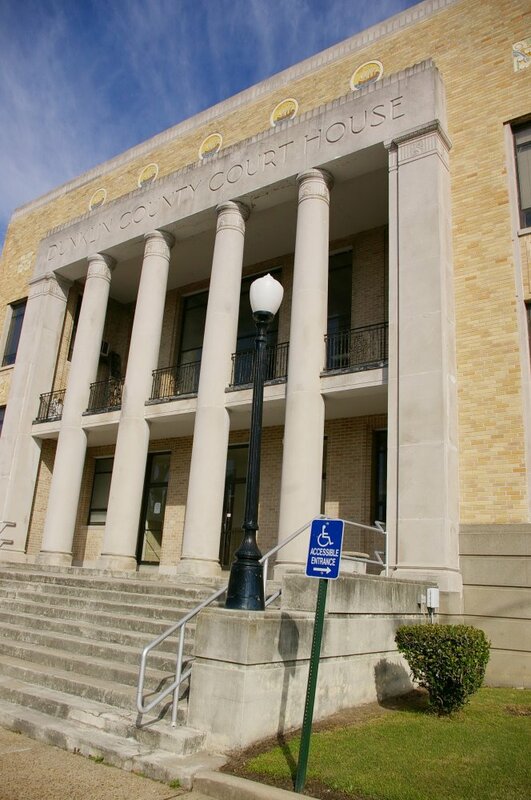 The south front has a large porch with four large columns rising to a wide stone header. Around the porch is brick with narrow vertical windows on either side of the porch. 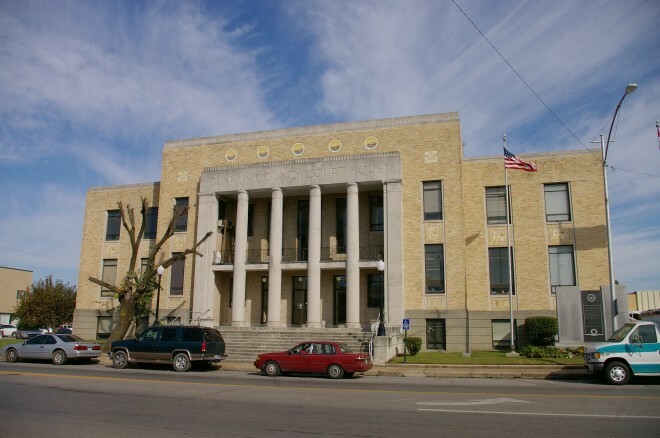 The building extends outwards from the main section. 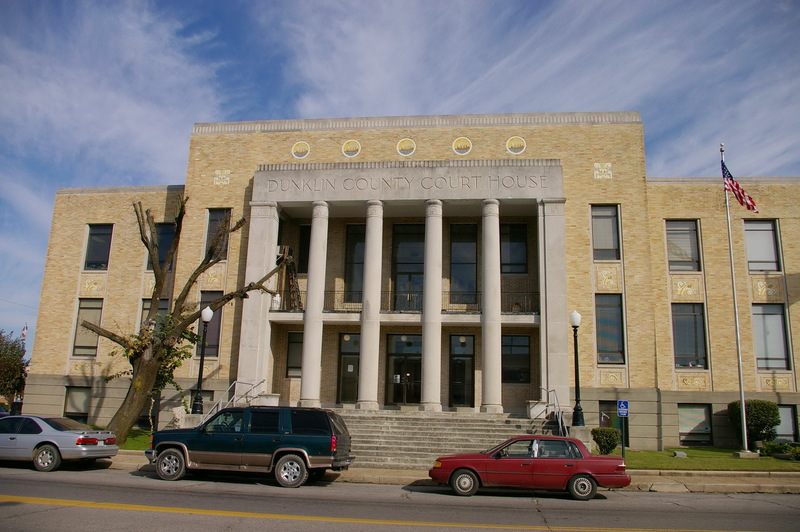 The courtroom is finished in black walnut with walnut wainscoting. 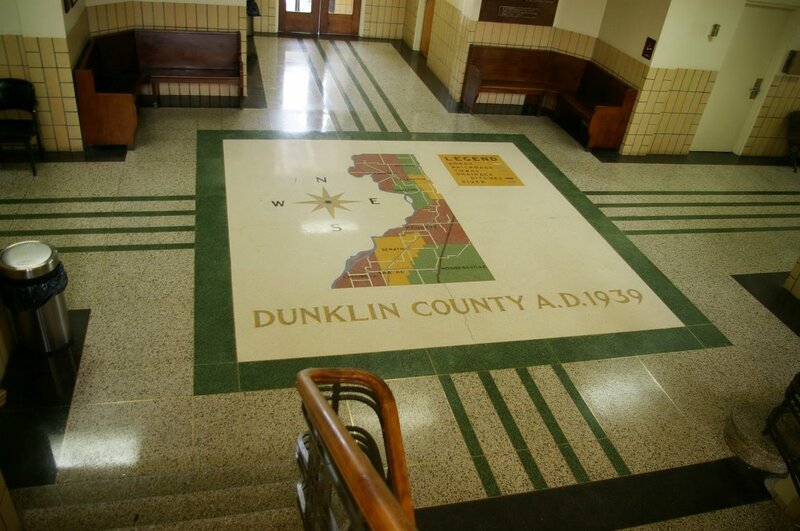 A map of the county is executed in the terrazzo floor. This was a Works Project Administration project. Note: The first courthouse was built in 1847 and the second courthouse was built in 1870 which burned in 1872. 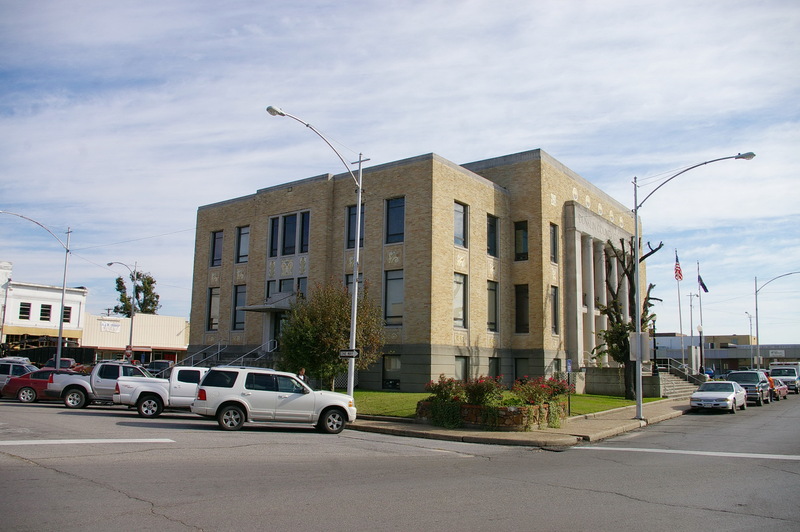 The third courthouse was designed by Louis Miller and constructed by Shinnick and Robinson of St. Louis in 1892. 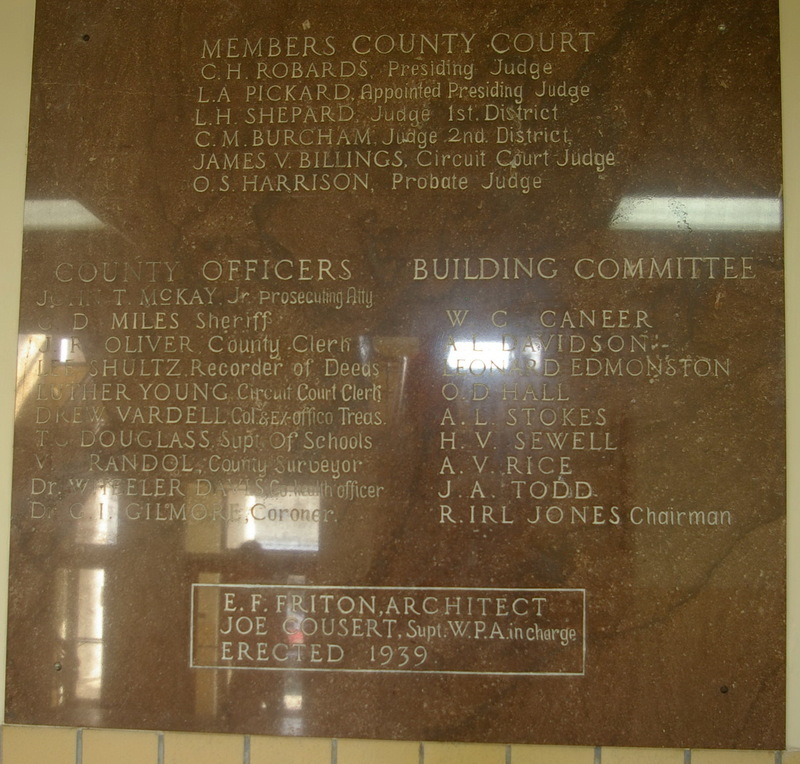 The cost of construction of the present courthouse was $178,000.